Access to safe drinking water and proper sanitation is essential for human survival and for maintenance of a decent quality of life. Currently, more than a billion people do not have access to safe drinking water and more than two billion people lack proper sanitation. In 1992, the United Nations proclaimed that water should be considered to be a human right. This position, however, has not been accepted by many developed and developing countries. 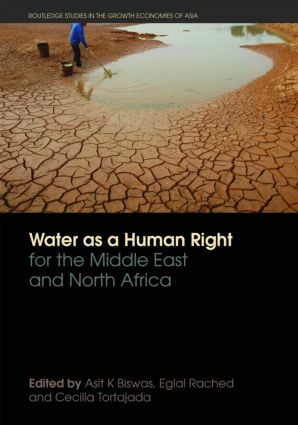 This book systematically and comprehensively analyzes the legal development of the concept of water as a human right; implications for the national governments, and international and national organizations for the implementation of this concept; progress made in different Middle East and North African countries to provide every individual access to clean water and sanitation, constraints faced to assure universal access to water-related services and how these constraints can be overcome, and an overall research agenda in areas where more knowledge is necessary.